Author Ayden K. Morgen: Giving Back on a Budget: Ten Quick, No-Cost Ways to Do Good. Giving Back on a Budget: Ten Quick, No-Cost Ways to Do Good. One of my favorite things about this time of year is witnessing friends and family embrace the spirit of giving. 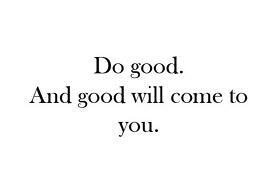 There's nothing more satisfying than doing a good deed for another. 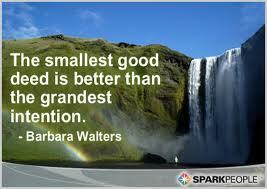 And, for many, the small things we do to give back to others will make all the difference in the world. But the sad reality is that, no matter how good our intentions, it can be so difficult to find the time or money to get involved, especially at this time of year. But being strapped for cash and time doesn't mean you can't give back in some way in the coming weeks and months! You don't have to spend a fortune, or volunteers hours of your time to make a difference. Sometimes, even the smallest act of kindness can mean the most. It is often those small things that spread ripples throughout a community, and those ever widening ripples can profoundly impact so many. To me, that is a the true miracle of this season, and it's one worth sharing! I've put together a list of ten small ways you can get involved this holiday season and help make a difference for someone in need. These littles acts cost you nothing or next to nothing, and take very little time, but can go a long way in bringing a smile to a neighbors face, helping your favorite charities continue with their mission even when you can't support them on the level you might like, or even changing the life of someone when that change is most needed. I hope you'll put at least one of these ideas (or one like them) to use in the weeks ahead and remember that, amidst all the stress and frustration this season can bring, one of the greatest gifts you can give is a smile. 1. Save and donate the little tabs on top of soda and soup cans for your Ronald McDonald Houses. Last year, the Ronald McDonald House of Little Rock was able to raise 10,000.00 with these tabs, and it cost donors nothing more than a few minutes of their time and their trash! That $10k helped a single Ronald McDonald House provide a home away from home for over 800 families with critically ill children. You can bring/ship your tabs to your Ronald McDonald House, or take them to a local recycling center and send your RMH the check. It takes around 1200 tabs to make a pound, and the average House makes .50 per pound at recycling. You can just imagine the sheer number of people it takes to help raise over 10k, so every little bit helps! 2. Save and donate the toiletries hotels provide for you during your stay to your local homeless shelters or Ronald McDonald Houses. These cost you next to nothing, but can help keep costs down for organizations already operating on a shoestring budget. Other small items to consider include all of those samples you get in the mail... items like toothbrushes and tooth paste, Q-tips, feminine products, diapers and wipes, individual sized snacks, etc. These are always useful! The link above can help you locate a homeless shelter in your area. 3. Make room on your book shelves for new items by donating your old books to a local literacy program or library. They can help ensure these items are distributed to children and adults most in need. Call your local library if you need help locating a literacy program in your area and couldn't find one on the list linked above..
4. Donate blood to the American Red Cross or a similar organization. This takes around half an hour, but can literally be the difference between life and death for someone. You can donate at a local blood drive, or at an area American Red Cross center. 5. Make room for new toys on your child's shelf by donating used toys to a local charity. If you aren't sure what charities take used toys or can't drop them off yourself, check out Donation Town. They pick-up used toys all across the nation and distribute them, for free. You can find more information for your area at: http://www.donationtown.org/news/donate-toys.html. 6. Donate other new/used items (such as clothing, appliances, electronics, magazines, etc.) to a Boys and Girls Club. They will typically pick these items up for free. You can also use Donation Town (linked in #5 above) to locate charities that accept items like these. 7. Buy too many paper plates or napkins for a get together? Donate those items to a homeless shelter, a Ronald McDonald House, or a similar organization via the United Way's Donate an Item program. They are always in need of items like this. Other small items you can donate to these organizations include paper or plastic cups, saran wrap and aluminum foil, Lysol sprays and wipes, hand soaps and detergents, Band-Aids, etc. You can pick most of these items up at a local Dollar Store. 8. Donate your unused airline miles to the Make-a-Wish Foundation! The organization uses donated miles to send Wish kids and their families to their Wish destinations all around the world. You can also donate your credit card rewards to charity in most instances. Your credit card provider can help you do this. 9. Get your kids involved in the spirit of giving by making and sending cards or letters to sick children through programs like Hugs and Hope. Many of these children have terminal illnesses and spend weeks on end in the hospital with little to do. Receiving a note can really brighten their days. You can get involved at: http://www.hugsandhope.org/kidslist.htm. You can also send cards and letters to the elderly in nursing home and long-term care facilities or shut-ins. Your local churches, Senior center, and/or nursing homes should be able to help provide you with a list, or you can drop off a batch of cards to these organizations for delivery. 10. Shop and search online through a program like GoodSearch, GoodShop, Greater Good or iGive. These search engines and shopping portals allow you to select a charity, and will donate (with the help of sponors and the stores you're shopping with) a certain percentage of sales to the charity you selected. This means you knock a few items off of your shopping list, and for no extra cost, you help support a charity in need! Great post!!! For people who go to church, they often have easy ways to give. Every year I bake cookies and donate socks for the homeless through my church. It's not much, but at least it's something. Can I republish this article on the CQ blog?